Nerve pain hurts millions of people. They see doctors, consume handfuls of prescription medications, have surgeries… and still suffer. Nerve pain is called neuralgia, and manifests in various ways, such as: trigeminal neuralgia (affecting the face), sciatica (affecting the low back and leg), neuropathy (affecting the feet), herpes zoster / shingles (affecting one side of the body, generally), thoracic outlet syndrome (affecting the shoulders and arms) and carpel tunnel syndrome (affecting the wrist and hand). Many describe their neuropathic pain as being painful. Rather, they use words like shock, electricity, pins and needles, stabbing pain, burning back pain, tingling and numbness to describe it. What happens is that the nerve is kept from working properly and sends the wrong signals to the brain, which makes the body feel numbness, tingling and burning sensations. But in reality there may be no real problem occurring, only that the nerve is misfiring. There are many causes of nerve pain and these include: infection, HIV/AIDS, diabetes, multiple sclerosis, alcoholism, chemotherapy, inflammation, stroke, physical trauma, nerve degeneration, surgery, toxic chemical exposure. The elderly population is affected more than others. It is known that common analgesics like aspirin and anti-inflammatories like Motrin do not help neuropathic pain. There are, however, some very simple and natural things you can do yourself while at home that can ease (and perhaps stop) the pain. Diet — The first thing that you can do to relieve nerve pain is change your diet. Eating foods that help reduce inflammation and staying away from those that support inflammation is the best step. Good foods include purified or distilled water, wild Atlantic salmon, fresh whole fruits, bright colored vegetables (except night shades), green or white tea, olive oil, lean poultry (skinless), lean beef (filets), nuts, legumes and seeds, dark green leafy vegetables, organic oatmeal (regular, not instant) and the aromatic spices (turmeric, ginger, cloves, garlic, onion, coriander, ground mustard seed, cayenne pepper). Foods that are bad for inflammation and pain are the nightshades (eggplant, peppers, potatoes and tomatoes), caffeine, nitrates, hydrogenated oils, animal milk products (milk, yogurt, cheese, ice cream,) and processed white foods (artificial sweeteners, flour, bread, pasta, sugar). Heat and Ice — Applying heat and ice can also reduce pain and inflammation. Depending on the type of neuropathic pain you are experiencing, either heat will help it or ice will help it. Usually not both. Many people find it helpful to place a heating pad on the affected area, or soak the area in a warm bath. Others feel better placing an ice pack or bag of frozen peas on the affected area. Both ice and heat, though, provide temporary symptomatic relief and do not offer toward a long-term solution. But symptomatic relief is often enough to allow one to move on with their day or sleep at night. Acupressure/Massage — Depending on the severity and location of the pain, localized finger pressure or stroking hand motions over the area will help calm the pain and move along the blood and fluids that may be gathering. The direct finger pressure and elongated hand massage stimulate the brain to release its “feel good” chemicals called neurotransmitters and opiods, which in turn reduce once sensitivity to the pain/burning/itching symptoms while at the same time normalizing the nervous system. Stretching / ROM — If your neuropathic pain is derived from nerve compression, such as sciatica, thoracic outlet, carpel tunnel or sometimes trigeminal neuralgia, then returning the body to it normal range of motion is a necessity. Gentle but correct whole body stretching is best as it reduces stiffness, improves blood flow and increases range of motion over the entire body. However, for symptomatic relief when time and pain is the issue, stretching the affected area will do. For carpel tunnel syndrome you should stretch the neck, shoulders, forearms and wrists. For sciatica and low back pain you should stretch the muscles of the hips, buttock and legs. For facial and shoulder pain you should stretch the neck, shoulders and upper back. There are several articles on this site and many programs available for these stretches. Systemic Enzymes — If you have an injury or are recovering from a painful condition and your blood flow is restricted, the exchange of nutrients and oxygen in your body will be limited. If this is the case, you should consider taking systemic enzymes. They effectively eliminate pain and inflammation caused by trauma, disease, surgery and infection. Systemic proteolytic enzymes do this by breaking down excess fibrin in the circulatory system and in other connective tissues, such as your muscles. These enzymes carry with them nutrients and oxygen-rich blood that remove the metabolic waste produced by inflammation and excess fibrin. Relief is often only 30 minutes away. We recommend the use of a proprietary formula that includes the above-named enzymes. It is called Heal-N-Soothe™. Nerve or nauropathic pain is a condition that many suffer and mainstream medicine has no solution. However, by taking a role in changing your diet and stretching and pressing your muscles on a daily basis, and by applying ice or heat as needed you can greatly reduce the symptoms and in some cases remove them completely. After just three weeks, Dan started walking again. This all natural product worked for Dan when all of his prescription drugs hadn’t. You can relieve your constant, burning pain when prescription drugs no longer work — just like Dan did — with Heal-n-Soothe™. Heal-n-Soothe™ works with nature by adding more of the enzymes that naturally reduce inflammation. With Heal-n-Soothe™, your body has everything it needs to repair and renew your muscles and joints. 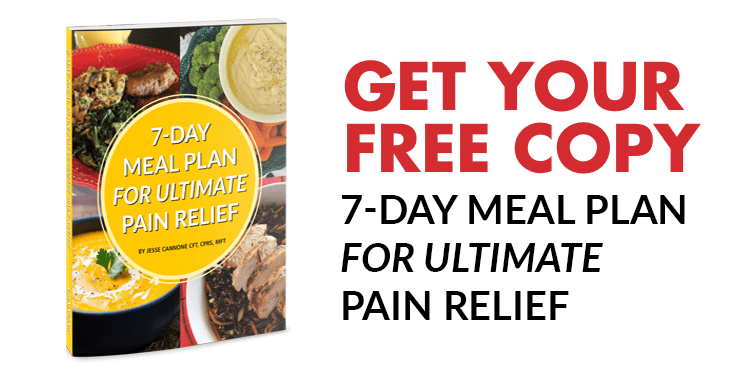 You have less pain as a result – with no life threatening side effects. So if you’re in constant pain and prescription drugs no longer help, don’t wait another second. Click here to ease your pain and cool inflammation with Heal-n-Soothe™!